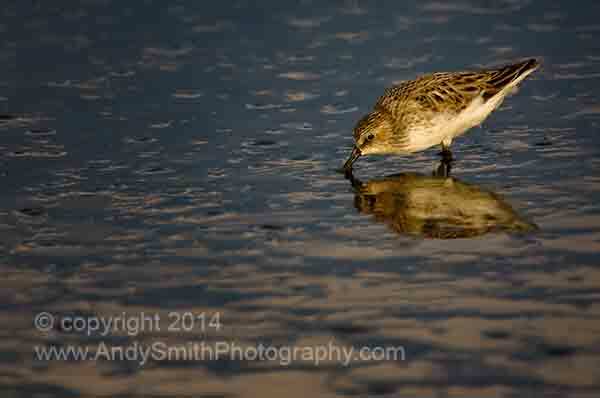 The Semipalmated Sandpier, Calidris pusilla, is a common migrant along the East coast in fall and spring migration. In the spring concentrations reach 175,000 on the Delaware Bay. This small abundant shorebird winters on the coasts of central and northern South America and breeds on the arctic coasts of Canada and Alaska.